Here in New Mexico, we do not get a lot of snow. Okay, there is snow in the mountains, but not where we are. They still LOVE to learn about snowmen. 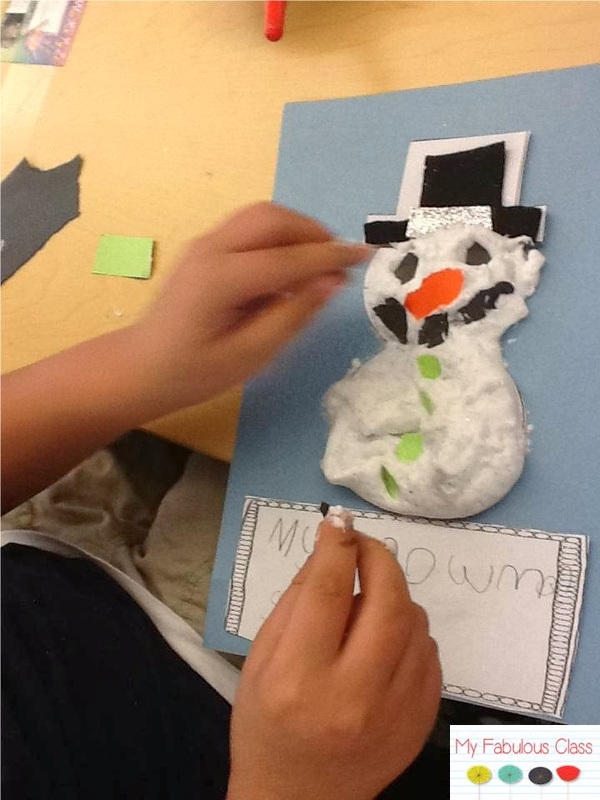 We have been reading snowmen books all week. 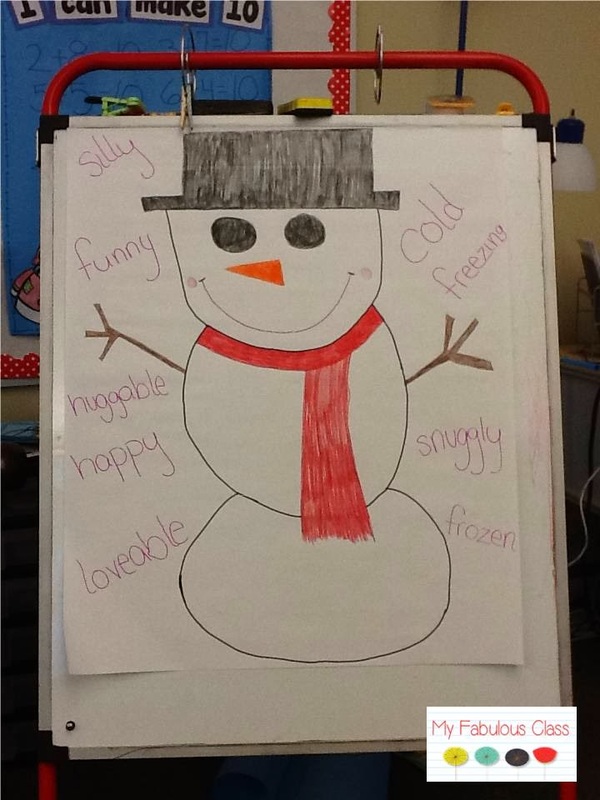 As we read our books, we talked about words that describe snowmen and made this little anchor chart. Everywhere on Pinterest, I see pins about making snowman with shaving cream, Elmer's glue, and glitter.This year, I had to try it. You are suppose to do half and half. I didn't measure it or anything. I wish I had used more glitter though. 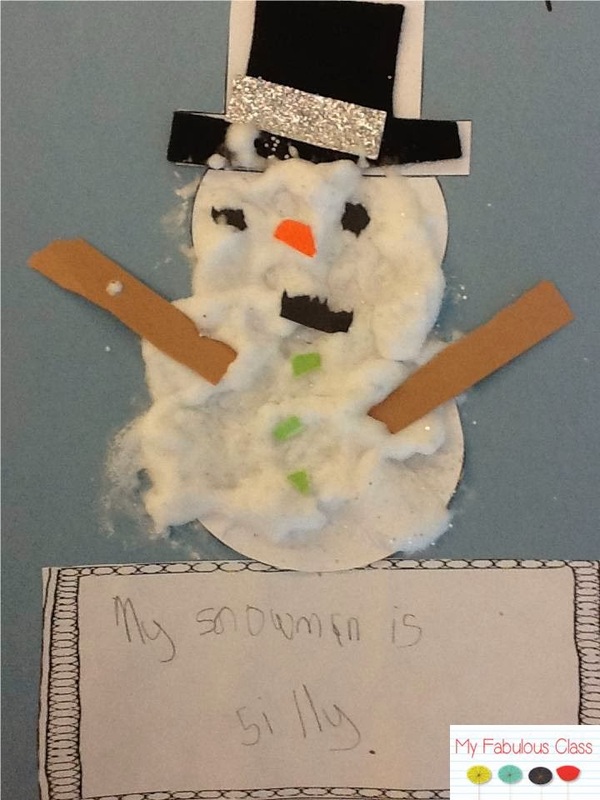 They wrote a sentence describing their snowman. They tor pieces of paper to make the eyes, nose, mouth, buttons, and arms. The hat is made of felt and glitter ribbon. I think they came out pretty cute, don't you? We labeled our snowmen. 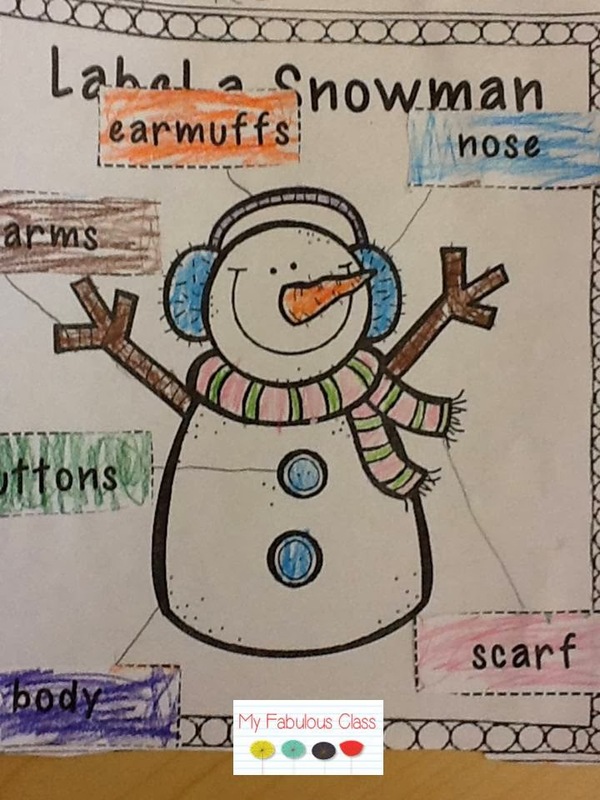 I love how this honey colored the snowman and the labels. We are working on our Sums of 10. 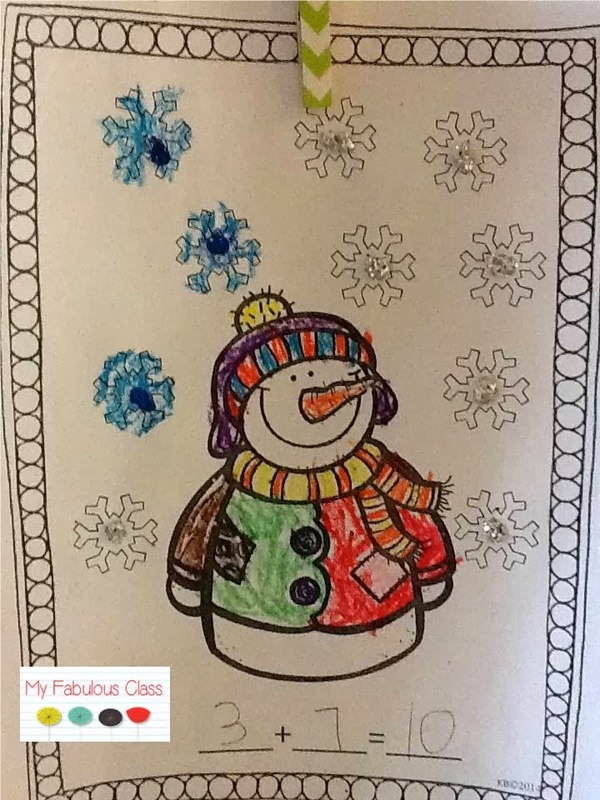 I told the kids to color their snowman and some snowflakes blue. I emphasized that they could choose ANY number of snowflakes...not just the two that I modeled. When they were done coloring and writing the number equation, they added blue glitter to the blue snowflakes and silver glitter to the white snowflakes. You can get both of these snowmen FREE HERE. 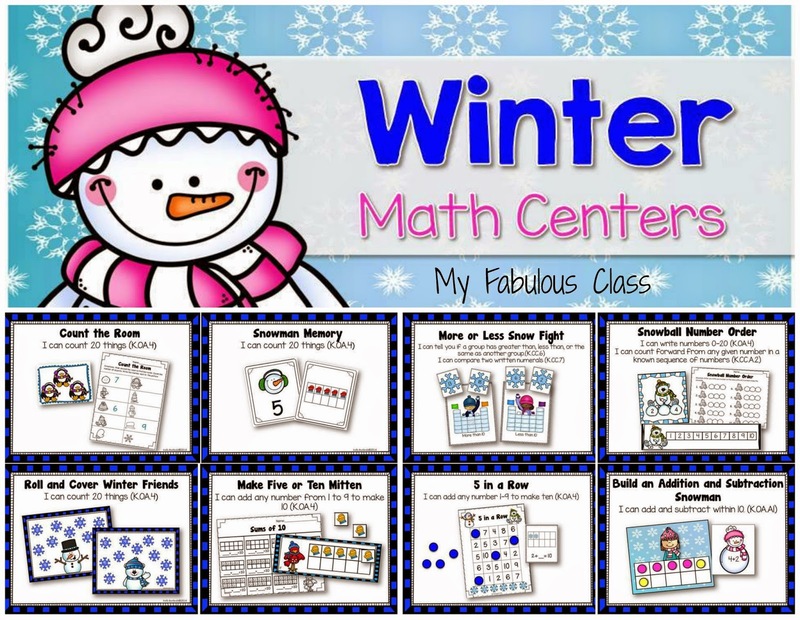 Have you seen my Kindergarten Math Centers? You get 8 hands on math centers that are differentiated to meet the needs of all of your students. You can find them HERE. 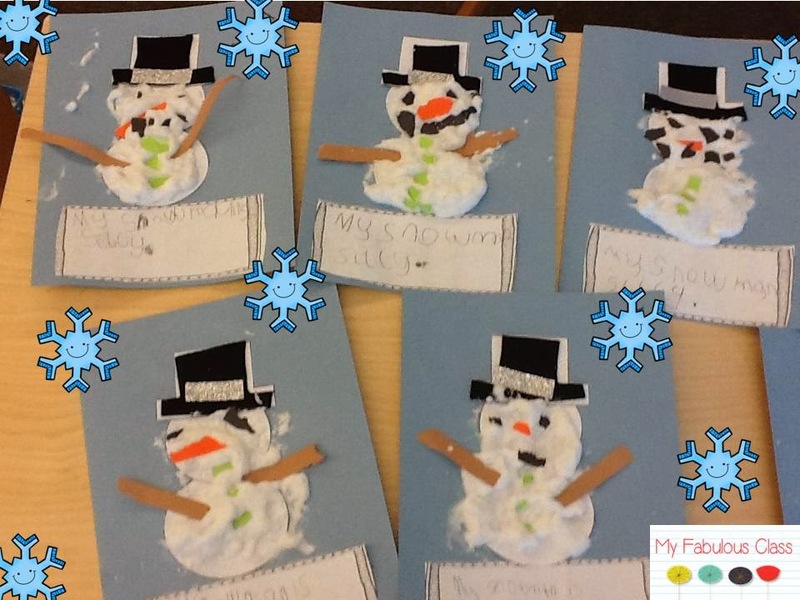 Cute snowman activities! I will try the shaving cream snowmen. My kids would love that! Thanks! I was nervous, but the kids has a blast!